Seddonville is the northernmost part of the Buller coalfield. Although high-quality bituminous coal had been known there since the 1870s, it could not be worked and sold until a railway line to the port of Westport was opened in 1893. 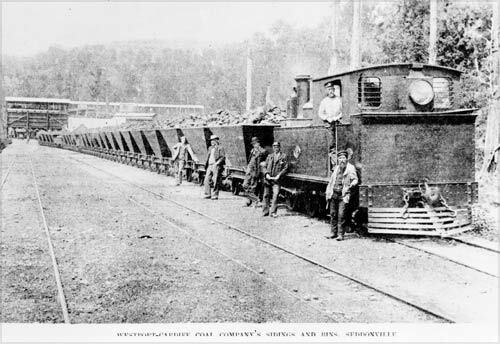 This train is carrying coal from the Westport-Cardiff mine, about 1897. The company collapsed soon after afterwards. A nearby mine was later opened up by the Seddonville State Mine.